Located in the residential area of Jalan Riang, Wimbly Lu Chocolates is a cosy space, adorned with whimsical decorations. 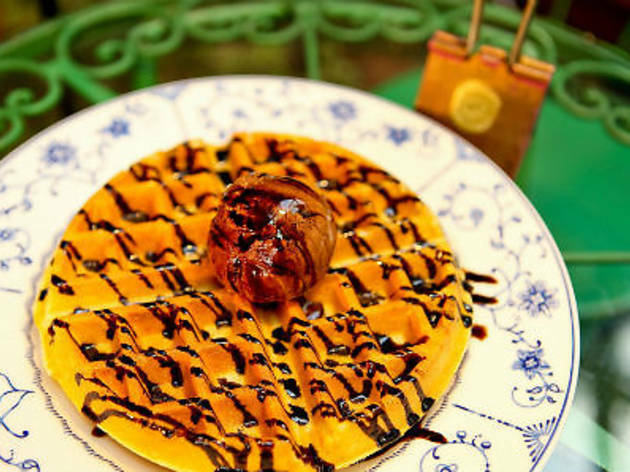 Specializing in desserts, their waffles ($8.50 with a scoop of ice cream) is crisp and light, paired perfectly with a variety of home made ice creams. Another must try is the Root Beer Cake ($6), an ingenious invention of unconventional flavours. 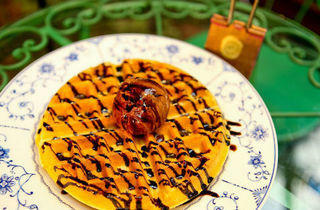 Apart from desserts, they also feature a savoury menu, all of which are reasonably priced.